First shown on Instagram shortly after I started, this is another little piece of my childhood brought to life in LEGO form! Very neat stuff. I've come to really like the trains thanks to your channel. I've just recently discovered your channel and it has inspired me to return to LEGO after several years away from the hobby. Your city especially has inspired and excited me to do a layout/diorama thing, probably on a much smaller scale, at least for now, but I am very much interested in a few behind the scenes things about how you approach your layout. For example, sometimes it seems like you have baseplates at different elevations (at least with water). How do you deal with that? Additionally, how do you go about building a MOC from the ground up on your layout? 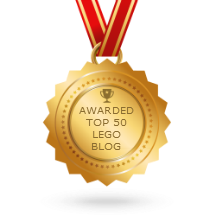 Like do you use tiles and jumpers to make a building more easily re/movable from the baseplates or do you just build them right on? Thanks in advance if you have a chance to respond, and just know that your work is awesome and inspiring! Another great creation Jang! Loving all the stuff you've been doing with trains of late. Pleased to say my family got me the Cargo Train for my birthday recently (they know me alllll too well!). Been collecting a mass of inspiration on Pinterest as I grew up making Hornsby train sets. 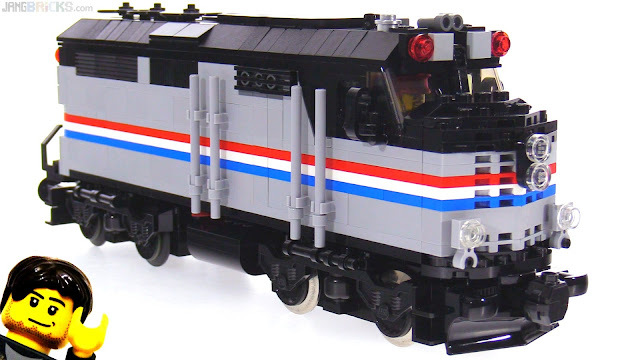 Question for you: How long has it taken you to get as good of an understanding as you have of the trains to be able to create MOCs like that? And is there any one piece of advice you'd give? Asking as an AFOL getting back into creating again and not just building sets.